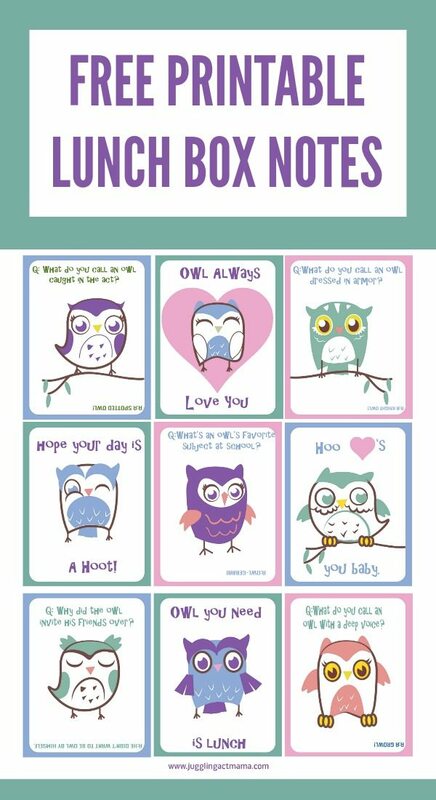 Free Printable Owl Lunch Box Notes are a fun way to add a little extra love to your child’s lunch box! Scroll down to download the free printable today! My daughter Olivia just started Kindergarten this week. She’s my ‘baby’ but she’s really anything but… she’s got a personality that’s far bigger than her 5 years, and a gorgeous smile to match. Here little giggle is infectious, and she has a wonderful imagination. Olivia takes after her daddy when it comes to eating – she’ll try just about anything, and loves pickles, Italian dressing and meatballs. When it comes to packing her lunch in the morning, it’s really a breeze, so I have an extra couple seconds to tuck something cute like this into her lunch before moving on to the next task. 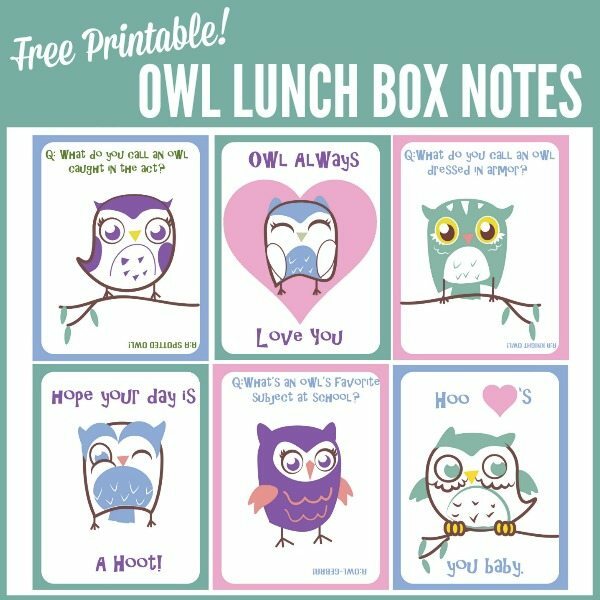 These free printable owl lunch box notes are perfect for your little ones, so download them today! You’re welcome to share this link with others, but please be sure to note our Copy Right Notice. If you need some lunch box inspiration, be sure to check out this Pinterest board with tons of great ideas!